Seen as a lifestyle by most, the coffee consumption market has constantly updated itself with new buzzwords. 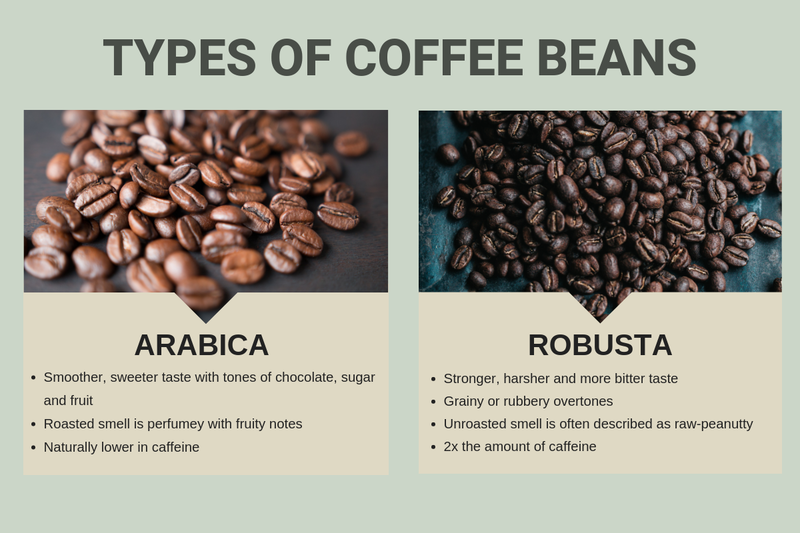 Before We Begin... What Are The Main Types of Coffee Beans? 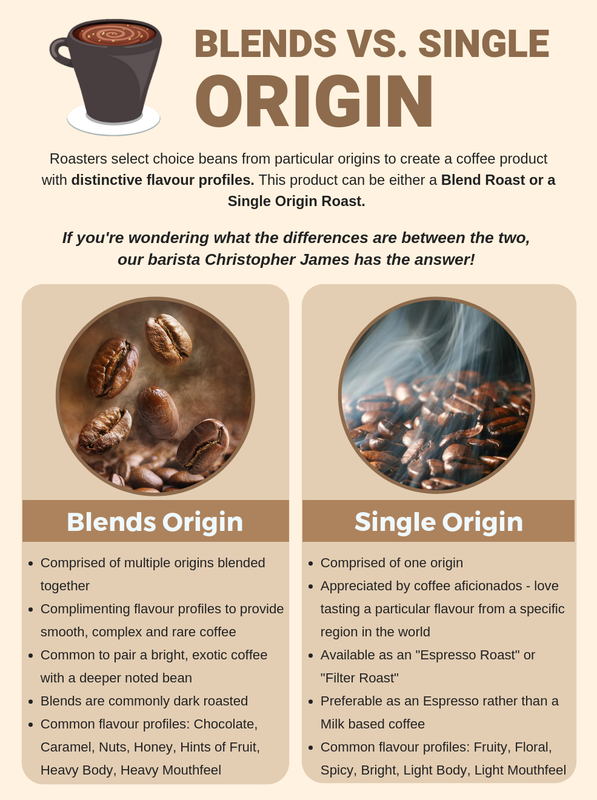 Blends and Single Origin: What’s the Difference? Coffee blends are essentially when coffee beans from multiple locations are roasted and mixed together. 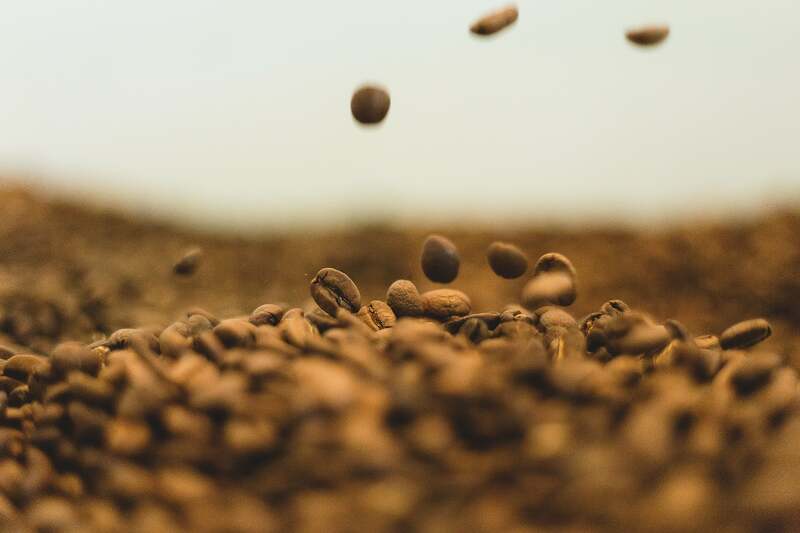 Taking advantage of the various characteristics found in different coffee beans throughout the world, blending creates complimenting flavour profiles. A common case for coffee roasters is to pair a bright, exotic coffee with a deeper noted bean which is why most blends are dark roasted! This process sounds like quite a task, so why exactly do coffee roasters bother? Complexity: Mixing a variety of elements from different sources offers the ultimate complex and rare yet smooth flavour profile. For example, a coffee with good mouthfeel (eg Brazil) is no good without aroma (Papuan New Guinea) or aftertaste (Mexican Altura). There is nothing better than an espresso with mouthfeel, aroma, aftertaste, good crema, acidity and smoothness but not bitterness. The exotic fruity aromas of the Ethiopian coffee blend into the earthy, spice, and woody notes of the Sumatran. The result is a low-acidity blend with a full body and complex contrast between fruity and earthy notes. The bright acidity of the Guatemalan pairs perfectly with the floral aromas of the Kenyan. When the earthy, full-bodied Mexican bean is added, the blend turns into a well-rounded symphony of bright flavours, smooth flavours, and deep flavours. According to Christopher James, flavour density and clarity remain as key contributors to the growing appeal of single origin coffee. 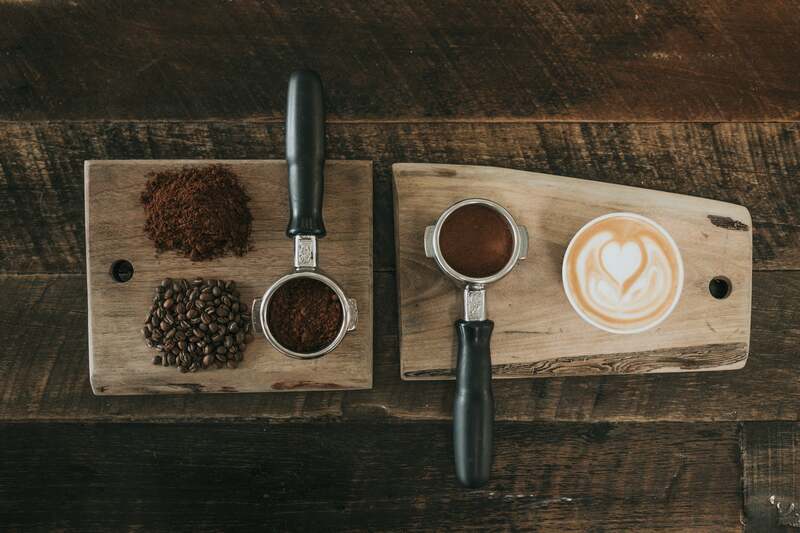 They also create a more personal coffee experience as drinkers can pinpoint the exact location where the beans came from which allows them to appreciate the finer nuances of the taste (purists suggest that this is the only way to fully appreciate the true nature of each individual coffee). Guatemala — Bright red apple-like acidity, a smooth chocolate flavour, mild floral aromas, and a pleasant honey sweetness. Sumatra, Indonesia — Mild citrus tang, a pleasant earthy flavour, refreshing pine aromas, and a gentle molasses sweetness. Watch Artist Jeremy Donovan speak about the NESCAFÉ Blend 43 project and the inspiration behind his art on a tin of coffee. Nestlé Professional's barista Christopher James shares his secret to making the perfect espresso. Keen to trial the NESCAFÉ Milano Combi coffee machine?